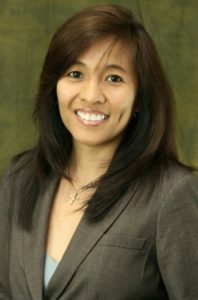 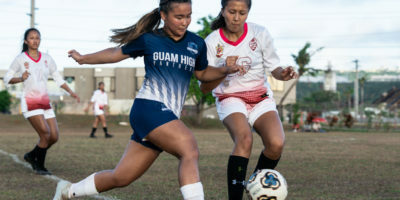 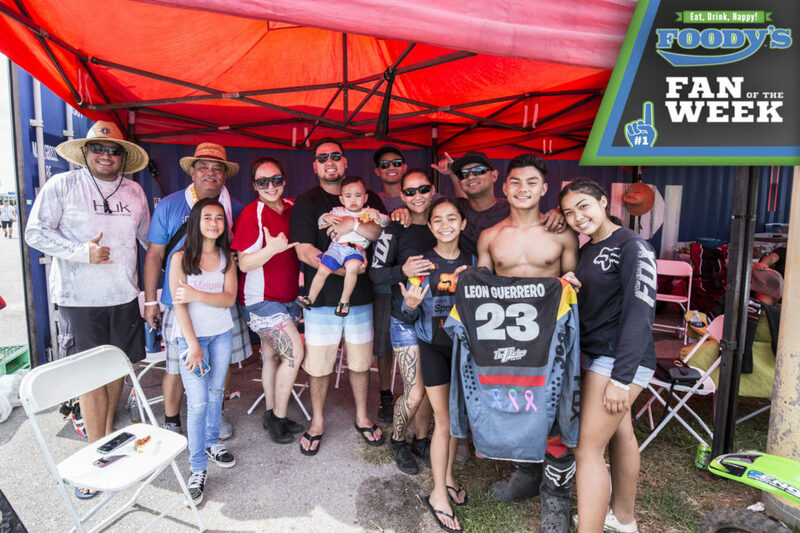 In the IIAAG Girls Soccer League, the Guam High Panthers increased their undefeated streak after beating the JFK Islanders 5-3 at Guam High Field on Thursday afternoon. 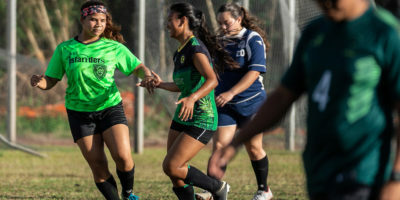 The final minutes of action would leave spectators in suspense as three goals would be scored in a matter of three minutes. 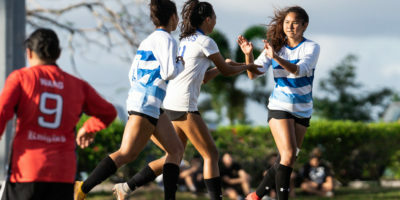 The ND Royals picked up a big win over the St. John’s Knights while welcoming back seven members of their roster who recently competed in Hong Kong. 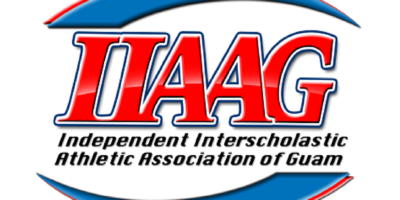 3rd Quarter All-Island selections from the IIAAG. 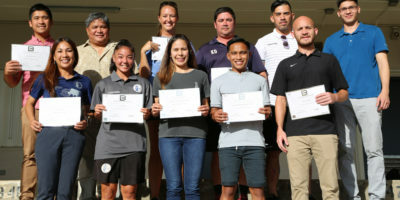 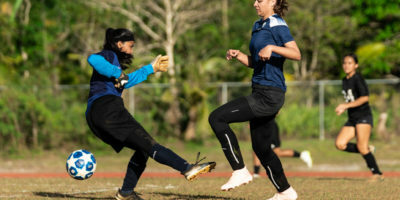 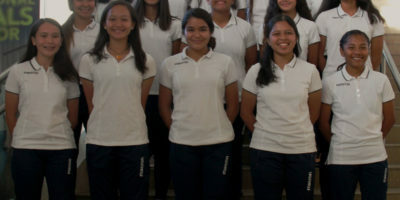 A mix of U15 and U17 girls’ national team players departed Guam Tuesday evening to compete in the upcoming Jockey Club Girls’ International Youth Invitational Football Tournament 2019 in Hong Kong. 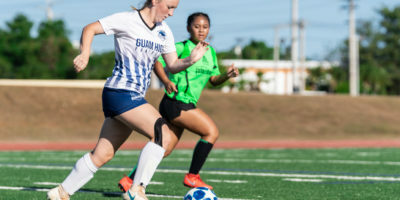 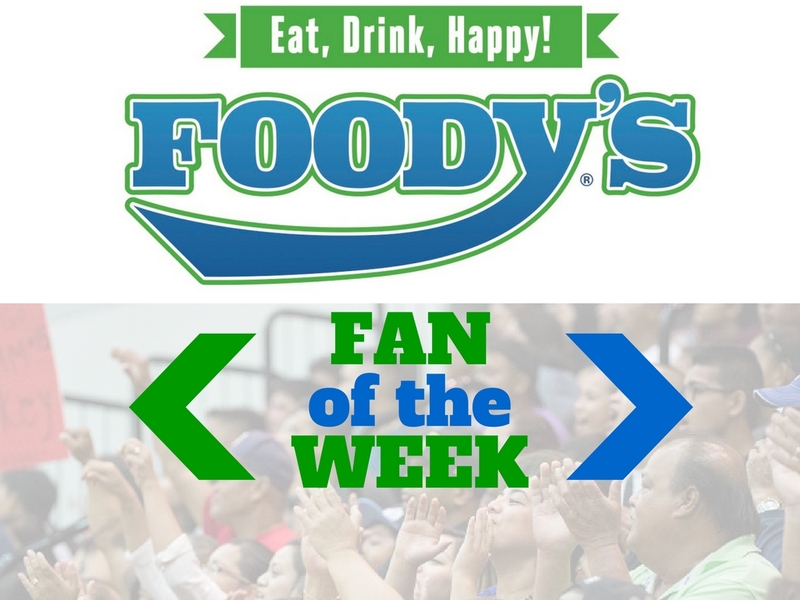 The JFK Islanders grabbed their first win of the season over the Southern Dolphins in the opening week of IIAAG girls soccer. 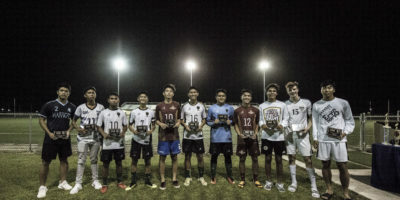 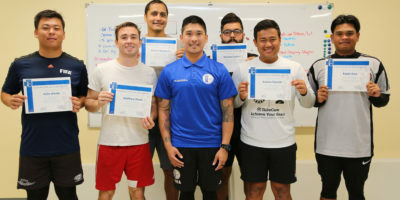 Six members, facilitated by GFA Goalkeeper Coach Instructor and AFC-licensed goalkeeper coach Ross Awa, earned goalkeeper coaching certificates while going through classroom and practice sessions on the pitch.